What does chocolate have to do with living longer and home biz success? An exciting piece of news about chocolate is that it is linked with living longer. A review of seven studies which involved over 114,000 people, found that consuming chocolate more than two times a week meant significant drops in the risk of cardiovascular disease by 37%, diabetes by 31%, and stroke by 29%! Chocolate is loaded with flavonoids and antioxidants. Chocolate helps keep your blood vessels young and elastic and keeps platelets from sticking. Dark chocolate is what you want. 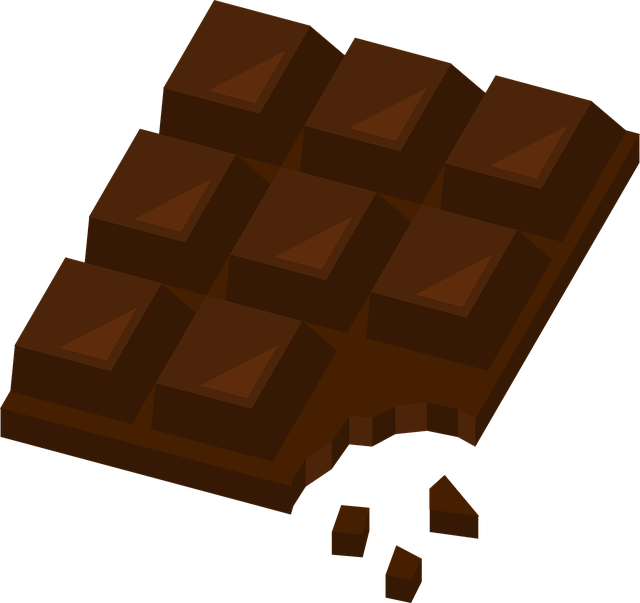 Chocolate is considered to be dark chocolate when it is between 70 percent to 99 percent pure cacao or cocoa solids. Milk chocolate is not what you want. Milk chocolate is higher in sugar and calories and the milk binds itself to the flavonoids which makes them unavailable for your body. Drinking milk with chocolate creates the same effect...so don't. White chocolate is also not a good antioxidant source. Chocolate is however high in calories and fat (see Nutritional Facts below). Most experts agree that chocolate, even in small amounts, can improve your health and add years to your life. One or two oz. daily is the recommended amount. Nellie and Beth were at the cafeteria at their parochial school. As they approached the desserts, they noticed a pile of fresh apples. Sister Margaret informed them that they could take only one apple each The nun then reminded the girls that "God is watching." Just past the apples were an assortment of chocolate desserts from pies to pudding to cakes to candies and more. Beth nudged Nellie. "Take all you want," she whispered, "God is busy watching the apples." Chocolate And Your Home Biz Success! Allow me to begin the correlation with another chocolate funny. Gus owns a candy shop. He usually runs a 'guess the weight' contest several times per year. The winner wins a prize, those that come within 2 pounds or so of the correct amount get a sizeable discount. Gus's promotion creates traffic and builds a mailing list. This year for Easter, Gus ran a guess the weight contest with an enormous 44 pound Easter Bunny. Come within 3 pounds of the correct weight and get a 15% discount coupon. Guess the exact weight of this huge 44 pound Easter Bunny and receive a free large Easter basket full of goodies! What does this faux pas have to do with your home biz success? Most newbies say too much! KISSS! Keep it short sweet and simple. Your initial contact, whether online, in person, or on the phone is NOT about selling your products or service. It is all about getting a 'click-through' or an 'appointment' and only that. I know that you are excited and you want to tell your prospects everything, but that is a common mistake. Online, highlight one or a few features and benefits and ask for the click-through. In person or on the phone, set the appointment. If your prospect wants to know more, I know you want to tell them more but DO NOT. "We will cover that tomorrow night and answer any other questions that you have. I look forward to talking with you tomorrow at 8 PM." So don't be like Gus. It is hard to NOT say too much, but a little practice will make it easy. Thanks for reading, my friends. I wish you much success. Click here to check out the Bonus Years Diet. This diet will add about 6.4 years to your life and INCLUDES a 2 oz. serving of chocolate daily! 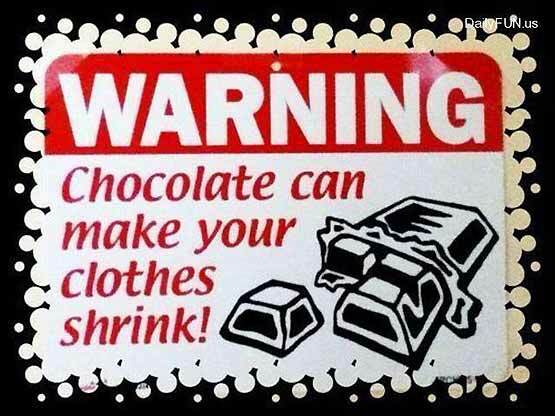 chocolate, dark chocolate, live longer, flavonoids, antioxidants, home biz, funny chocolate jokes, funny chocolate images.